Did you put the wrong fuel into your vehicle? Do NOT turn on the ignition or start the engine. This will circulate the contaminated fuel and could increase the risk of damage to vital components. We offer a 24hr service, we do not undertake any other form of breakdown work, and our vehicles are purpose made for the job in hand. They are constructed in accordance with sound engineering practice and comply with all relevant legislation with regard to the Transportation of Dangerous Goods Act. All work including the disposal of the contaminated fuel is carried out in a very safe and professional manner by fully qualified motor vehicle technicians holding A.D.R licenses, all of whom have at least 5 years experience in the breakdown industry. in addition to draining, flushing and clearing your fuel system, we reset any emission and engine management fault codes at no extra charge. It can cost up to £100 just to have your engine management reset at your dealers. Our waste disposal conforms to all current hazardous substances and health and safety legislation. We are small enough to care but big enough to deliver. Wrong fuel now? Add the right solution! In the unlikely event that your vehicle has sustained damage due to being run on the incorrect fuel and won’t restart or the fuel drain is unsuccessful then we will waive all charges! Since 2007 we have been carrying out fuel drains on air and sea freight vehicles. We have the insurance and experience to cover all vehicles giving peace of mind to freight forwarders and their clients. Virgin Airway, British Airways, Maritime Freight, Heathrow Cargo Handling and Menzies have all trusted and used us for a long time. To name but a few we have drained Bugatti Veyrons, McClaren MP4s, Ferrari Enzos, Ferrari Californias, Ferrari 458s, and most Mercedes (2250, 350, SL500, SLS). See out gallery for many more. We are INSURED, QUALIFIED and EXPERIENCED. Please call 07856 941 083 or email us to discuss our rates. Sea Freight, air freight, you name it we have drained it. Happy with our service? 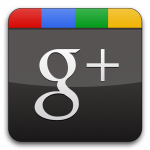 Please leave a review on our Google+ page.